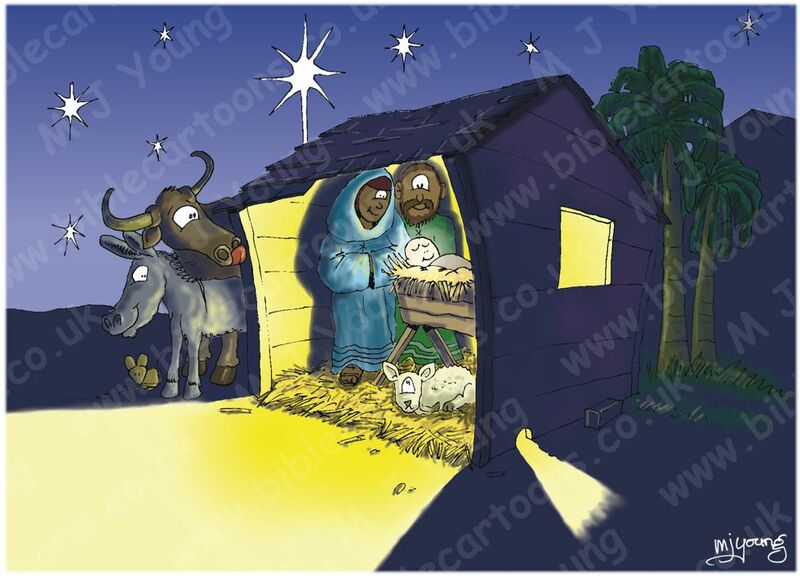 The main light source for this cartoon is the glow coming from the infant Jesus. Jesus, Joseph, Mary (the mother of Jesus), a cow, donkey, mouse & lamb. Clearly there was no actual glow coming from the baby Jesus when he was born! I illustrate it here to represent his divinity & holiness, flowing out from his little body as a kind of (unseen) spiritual light.